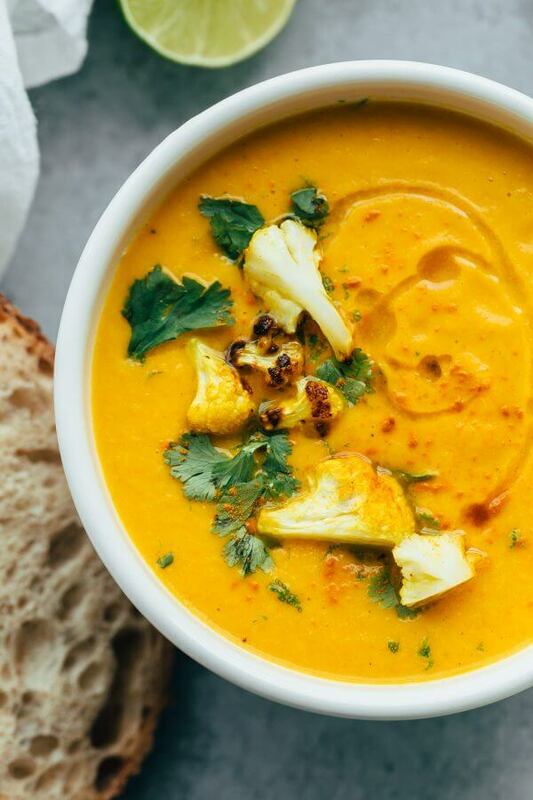 Roasted Cauliflower Soup with Coconut and Turmeric. 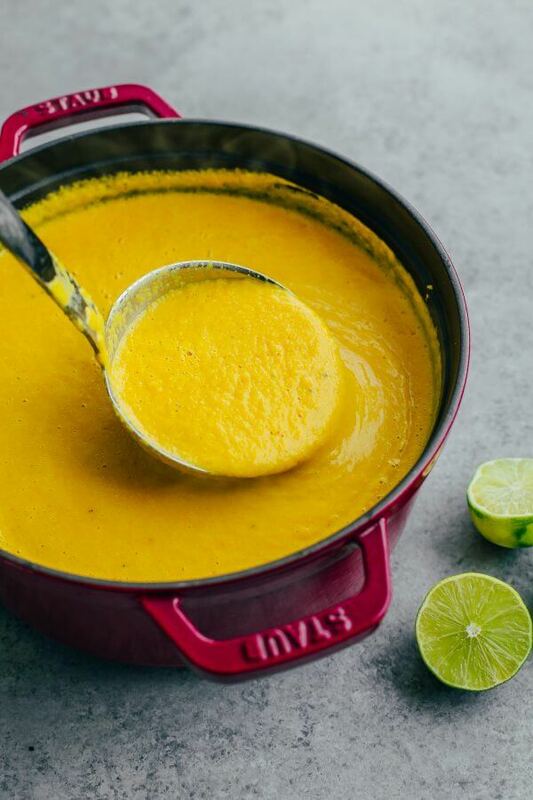 This healthy cauliflower soup recipe is flavored with Thai chili paste and coconut milk! One of my favorite methods to enhance a soup is to incorporate roasted vegetables. It adds a little something, something. 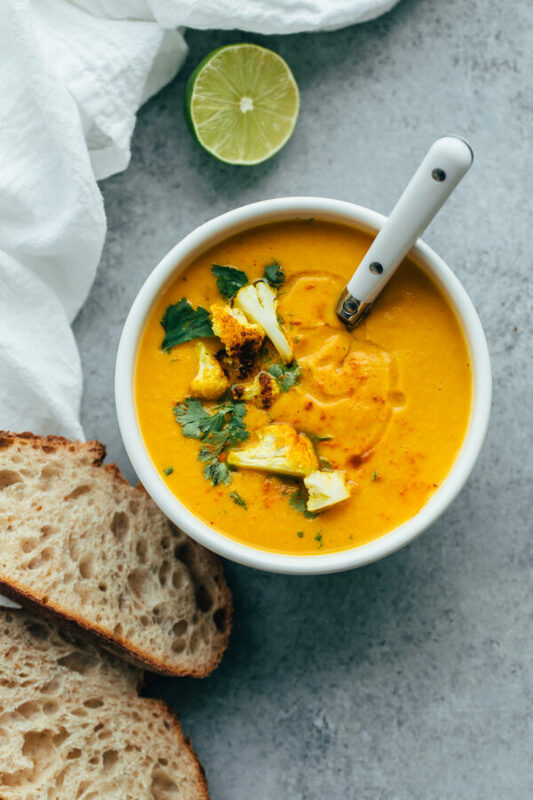 This roasted cauliflower soup with coconut and turmeric is a perfect example. 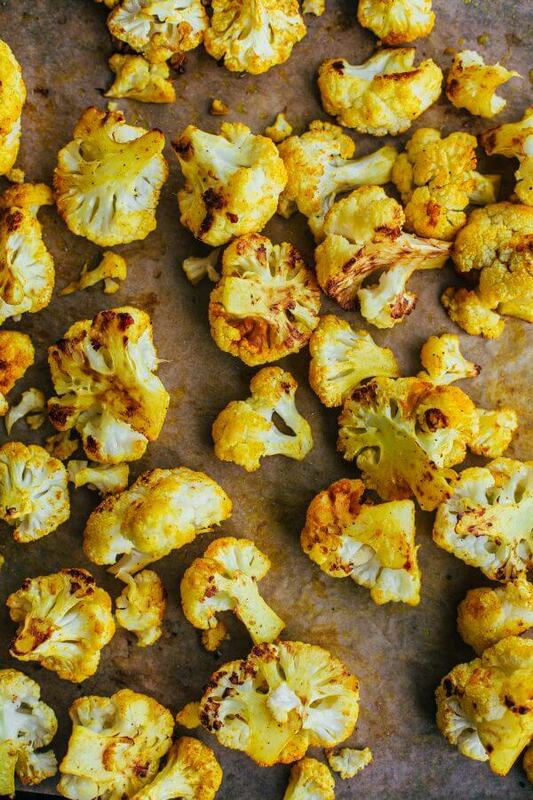 Cauliflower florets, tossed with ground turmeric, are roasted until lightly caramelized and crispy. Truthfully, you could serve those as a side dish on their own. Roasting is especially helpful for more naturally bland vegetables like cauliflower, broccoli, or other root vegetables. Similar to potato, cauliflower also happens to produce an exceptionally creamy soup texture (which is why you often see it as a base for cheese sauces, etc.!) 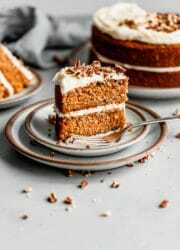 without adding starch or heaviness. 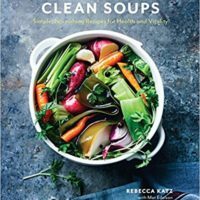 This cauliflower soup recipe is an adaptation from the beautiful cookbook, Clean Soups by Rebecca Katz. My mom (who loves soup just as much, if not more than me!) recently gifted it to me, and I can’t wait to dive into it this coming season. The book does a fabulous job of breaking down soups into a few key building blocks (fat, aromatics, broth, herbs and spices, etc.). Once you understand these general building blocks, you can start to create your soups from scratch! This blog is filled with quite a few cauliflower recipes, but this might be one of my favorites. 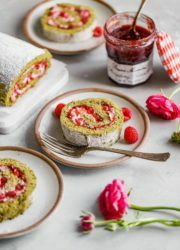 The most frequently asked question that I receive is, “what type of food do you most enjoy making?” Cooking has been part of my professional life for almost seven years, so it only makes sense that people want to know what gets me most excited! Unfortunately, the answer isn’t quite as conversation-starting as one might think. 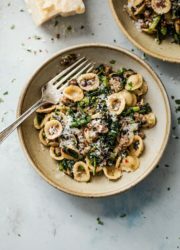 Homemade pizza and pasta are certainly up there, but that’s in large part due to the satisfaction received from eating them (no, really, it’s sometimes that simple). But what do I enjoy making the most? That is a much harder question. Believe it or not, soup is one of my favorite things to make, period. Yep, soup. I love the mindless chopping, dicing, and prep work that goes into a great bowl of soup. The comfort and hearty satisfaction it brings. 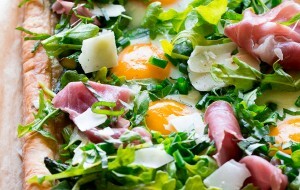 The accompaniments (a hearty salad, great crusty loaf of bread, great cheese) it encourages. But, really, the best part about it? 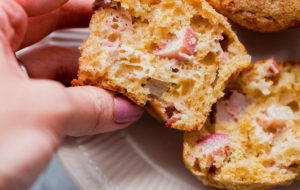 Soup lends itself extremely well to experimentation in the kitchen. If you’re uncomfortable improvising or you want to start putting your own spin on recipes (rather than strictly following them), start with soup. Not only is soup forgiving by nature, but it can be flavored, adjusted, and enhanced in so many simple ways. Can’t eat dairy, but want to achieve a luscious creamy soup nonetheless? 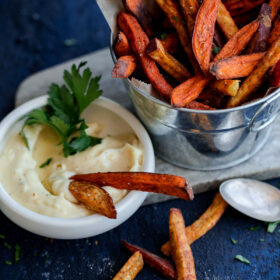 Substitute the cream with full-fat coconut milk or achieve the same effect with a starchy root addition like potato. 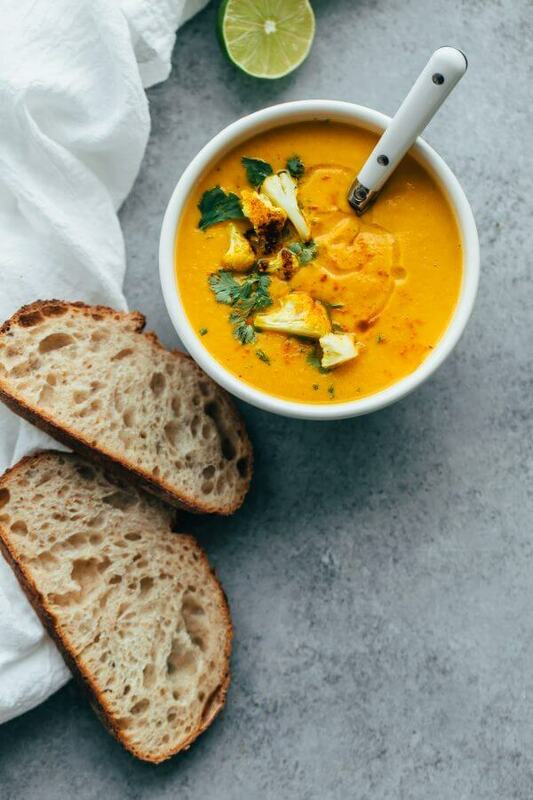 This creamy roasted acorn squash and sweet potato soup is one of the most popular recipes on this blog, and it just happens to be vegan. Want to put a international twist on a classic? Substitute traditional spices and herbs with spice blends like garam masala, ground ginger, curry powder, or in the case of today’s recipe, Thai chili paste. 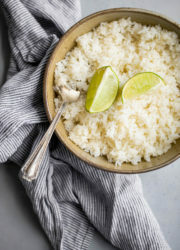 Even the simplest of additions, like grated ginger or freshly squeezed lemon or lime juice, will completely elevate and change a soup’s flavor profile. Better yet, puree a can of drained cannellini or garbanzo beans and add them halfway through. You’ll be adding protein and heft. Or get inspired by the season! 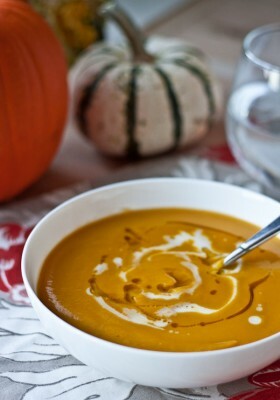 Substitute yellow onion with creamy leeks, carrots with parsnips, sweet potato with your favorite winter squash. My biggest tip for soup? Never underestimate the power of salt and acid. If your soup creation tastes a little flat, try adding a generous pinch of kosher salt or a squeeze of lemon or lime (lime is my preferred acid for soup, it is more delicate). It can make or break a soup. In my kitchen, soups can be used for practically any occasion. This roasted cauliflower soup is in celebration of Cynthia, the talent behind the beautiful blog Two Red Bowls. A few days ago, Cynthia gave birth to an incredibly adorable baby boy named Luke, and a bunch of internet friends are coming together to celebrate the news with….you guessed it…foods made or served in bowls! So fun and cute, right? With the incredible World Series victory by the Cubs last night, yesterday’s (literal) toast in celebration of Ashley, and today’s bowl party in honor of Cynthia, we’ve had one heck of a week. Cheers! Have a great weekend friends! Roasted Cauliflower Soup with Coconut and Turmeric. 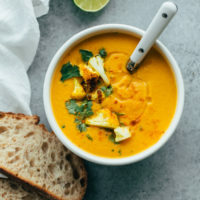 This healthy cauliflower soup recipe is made with turmeric roasted cauliflower and infused with Thai chili paste and coconut milk. Garnish with cilantro and reserved roasted cauliflower pieces for a beautiful garnish. 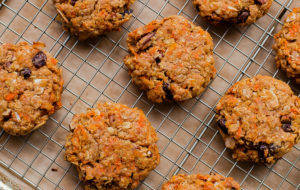 Naturally gluten free! Preheat the oven to 425 degrees Fahrenheit. Line a sheet pan with parchment paper. 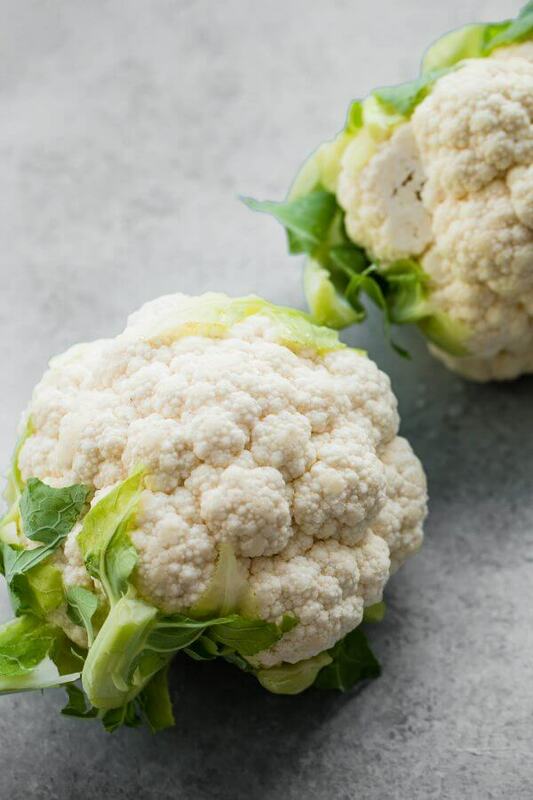 In a large mixing bowl, toss the cauliflower florets with 2 tablespoons extra virgin olive oil, 1/2 teaspoon ground turmeric, 1/2 teaspoon kosher salt, and ground pepper. Roast for 20 to 25 minutes, flipping the florets halfway through, or until tender and caramelized. Meanwhile in a large soup pot, heat the remaining tablespoon of olive oil over medium heat. Add the chopped onion, remaining 1/4 teaspoon turmeric, and a pinch of salt, and sauté, stirring occasionally, for 3 to 4 minutes or until softened and slightly translucent. Add the garlic, carrots, and celery, and sauté for 10 to 12 minutes, stirring occasionally, until the vegetables are lightly caramelized. Add the Thai chili paste and stir until the vegetables are evenly coated. Pour in 3/4 cup chicken broth, scraping the bottom of the pan to loosen any caramelized bits, and continue to cook until the liquid is reduced by half. Add the remaining chicken broth, grated ginger, and the roasted cauliflower to the pot. Bring to a boil, reduce to heat to a low and simmer the soup for 10 to 15 minutes, or until the vegetables are very tender. 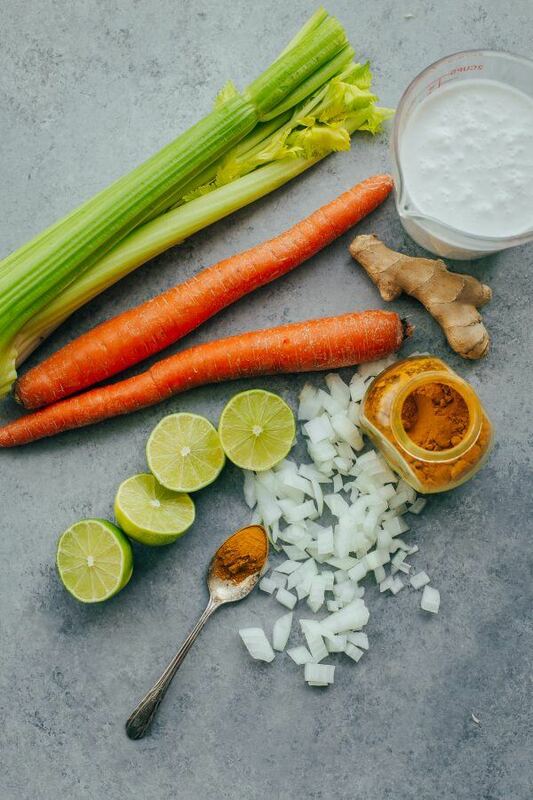 Carefully transfer the soup in batches to a blender (Vitamix or other high-power blenders will produce ultra-creamy textures, but a regular blender will also work) and puree until smooth – adding additional broth if necessary. Transfer the soup back to the soup pot, place over low heat, and whisk in the coconut milk. Stir in the lime juice and season to taste with salt and pepper. Serve hot and garnish with cilantro as desired (tip: I reserved one small floret of roasted cauliflower as a garnish, but this is optional!). Once the soup is pureed, be sure to taste it before serving. If it seems flat in flavor, the soup most likely needs a few good pinches of kosher salt or another squeeze of lime juice! ﻿Recipe adapted from Clean Soups (Rebecca Katz). Soup is one of my favourite things to make! And this recipe sounds incredible! 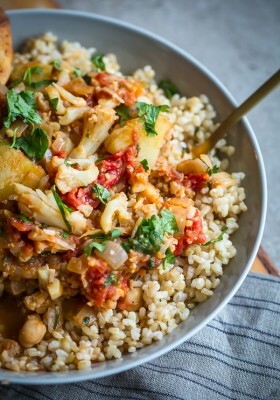 Love the roasted cauliflower in there! Pass me that entire bowl! Love all the flavors happening in this soup, especially with the coconut milk. that turmeric roasted cauliflower is gorgeous 🙂 comfort in a bowl! thanks so much for participating laura! i know you brought a smile to cynthia’s face! This sounds delicious, and it’s such a beautiful color. I also love making soup, but I also really enjoy eating soup. I’ve not roasted cauliflower for soup yet, so I’m absolutely going to have to give this a try. The colour of this soup – incredible! For soup making, I pretty much roast any and all the vegetables until they are barely discernible, pour in stock and immersion-blend away. I agree, roasting adds so much flavour! I am so incredibly excited about soup season and about this totally vibrant soup! The color alone gets me all tingly inside. This soup look amazing! 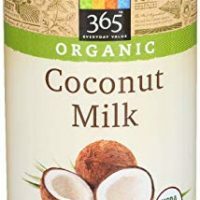 Could light coconut milk be used? Definitely! I prefer full-fat because it is adds a thickness and creaminess that doesn’t compare to light, but it would definitely work. Laura, how beautiful is this! And it sounds so perfectly cozy for the fall, too. Thank you so much for being a part of this — little B3 feels so loved! Very good soup. I made it vegetarian by using veggie broth instead of chicken, and liked it very much. It was thick and warming and hearty. Next time, I will make a crunchy garnish, maybe croutons, to make it even more to my liking. Thanks! 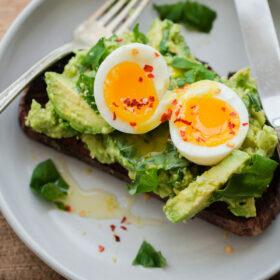 Thanks very much for the terrific recipe! Thank you so much Celia! I just read your blog post, and appreciate the kind words and feedback more than I can say. So happy to hear that you enjoyed the soup! Hope you’re having a great weekend. You are most welcome Laura. So sorry you had trouble with Disqus. I’ll have to look into that. can i substitute with bone broth? I don’t see why not! Bone broth will have a deeper flavor (and generally is thicker), but it should work fine. If in doubt, you could always dilute it slightly (3 cups bone broth and 1 cup water). Hope this helps! I made this soup tonight. 2 thumbs down. It’s got a very grainy consistency and there is way too much Thai chili paste. The heat from the chili paste is overwhelming and you can’t taste anything else. Sigh. It’s going down the drain tomorrow. Back on the hunt for a good cauliflower soup recipe. Really sorry to hear that, Pat! I’ve had many readers comment (even just the other day) with positive feedback. Is it possible you didn’t allow the vegetables to cool sufficiently before blending? I can’t imagine how it could have turned out grainy, especially if you used a blender. It is also a relatively small quantity of chili paste, but everyone has varying tolerances for spice – so I apologize if it wasn’t suited for your taste! This soup is absolutely delicious! Thank you so much for the recipe! I misread the ingredinets and added 1 tsp of Thai red curry paste (instead of chili paste) and it turned out fantastic! I will definitely make again with my unintended modification. Made this recipe today, but cut it exactly in half. I had to use siracha in replace of Thai red chili paste and veg broth instead of chicken but it still turned uut amazing!!! 😍👏🏼👏🏼 Thanks for the recipe! Yay! So happy to hear this! Thanks for taking the time to leave a comment/review. Glad to hear all of the substitution worked too. I was so looking forward to this soup and I think this recipe totally missed the mark. I’m a fairly sophisticated chef – found that the coconut overwhelmed the cauliflower. Sad I just spent the time and have such a lackluster soup. This soup has been one of our favourites to prepare for ourselves and friends. But I think the type of chili paste is key and would like to know what you used? The first time I made it was the best and I used a red chili paste we’d bought at an olive oil farm near Paso Robles where they grew the chilies and made it themselves. The next time I made the soup I bought a red chili paste from Whole Foods (organic Aji Panka — Peruvian) but it was much darker and made the soup taste totally different — not nearly as good.What brand paste do you use? 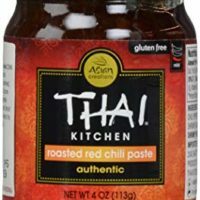 I use Thai Kitchen, because it is so readily accessible and I have a feeling its what most people have access to if they’re trying the recipe – but your versions sound great. I definitely want to check out that Aji Panka brand. The best soup I’ve ever made, thank you!! My husband LOVES it. So thrilled to hear that! Thanks so much for leaving your feedback! My non-cauliflower liking husband even loved this soup! I used Sriracha instead of the Thai Chili Paste, because I forgot to look for it at the store. Wonderful and I will make it again!